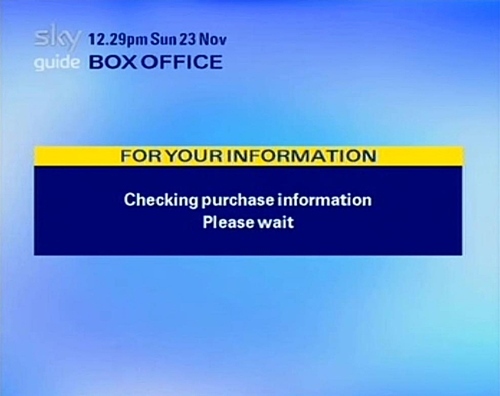 Sky Box Office is the name of BSkyB’s pay-per-view (PPV) system. 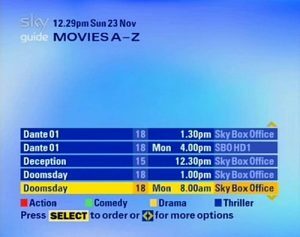 There are three branded divisions of Sky Box Office – Sky Movies Box Office, Sky Sports Box Office and Sky 3D Box Office. 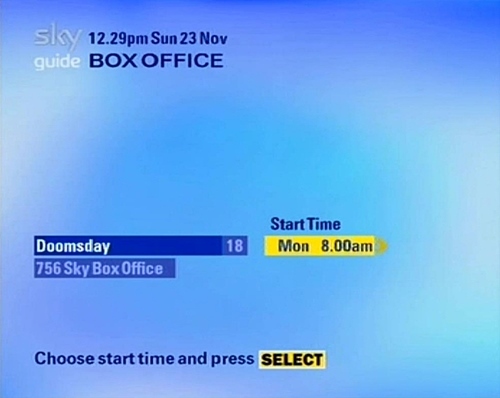 Until 1 February 2011, the system ran under unified Sky Box Office branding. Films are currently first shown on Sky Box Office between two and three months after release on DVD. It is likely that this ‘window’ will come down further, in line with US models. It can be purchased directly through a Sky remote control. This can be accomplished by pressing “Box Office”, purchase an event, confirm the order and enter the PIN if prompted. Sky Box Office is not just for the latest Hollywood movies, you can also order special Pay Per View (PPV) events here. Choose a PPV event, programme or film by genre. There are sub-sections for example under Movies such as Horror and Comedy, to make your selection easier. Remember, your Sky Digital receiver must be connected to a UK landline to order through your receiver. Highlight your choice then press Select, a programme detail screen will appear. Use the coloured buttons on the remote to choose the programme type. You will see various start times for your chosen film. If all is correct press select again to order (Landline required). The programmes details now appear, with a brief description of the desired programme, event or film. If everything is correct, press Select on your Sky Remote. If you have set any viewer restrictions (Parental Control or a spending limit), you will have to type in your PIN code to access the programme. Remember your receiver must be connected via a UK landline to order. Checking purchase information, remember that you must be connected to a U.K. landline. If you have changed your mind about your purchase or chosen the wrong programme, don’t worry, you have not paid yet. Simply press Back Up to exit and return to the previous menu, or press the Sky button to exit all menus and return to your last viewed TV or radio programme. Your choice of programme, the starting time and the price are now clearly displayed. You can also use Sky’s online Movie Planner, search for a film you have missed, or find a film searching by either title, director or by the star. Ordered programming will also be automatically stored in your Personal Planner and can be deleted from here. If you have set any viewer restrictions, you will have to type in your PIN code to access the programme. A personalised PIN means you can make sure the kids don’t watch anything you’d rather they didn’t while keeping an eye on the pennies. Forgotten your PIN? Call 08702 436 000 and Sky will be able to help you. 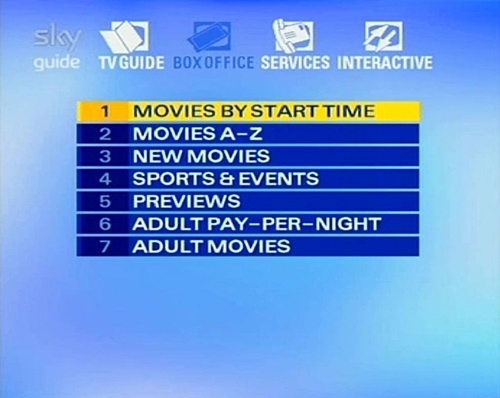 If your choice of film has already started, you will be informed by an on-screen message, asking you to choose another start time, you will not be charged. If you are a Sky+ customer and record a Box Office event, you will only be charged if you view the recorded event or film.